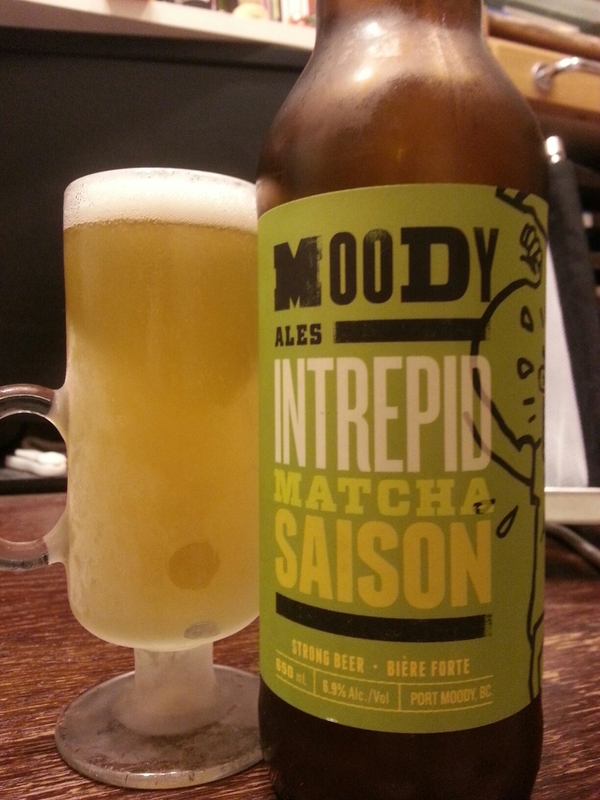 Intrepid Matcha Saison – Moody Ales (Port Moody, BC, Canada) | Justintoxicated. Visual: Pours egg custard yellow with a small diminishing head, a micro layer of retention, clusters of very active streams. Finish: green tea bitter & dryness, light lemon and wheat malt dry finish. Summary: It’s an okay crisp brew, but mostly wheat malt dominant with some lemon up front and subtle matcha in the background; Neither make a huge impression. Just average.